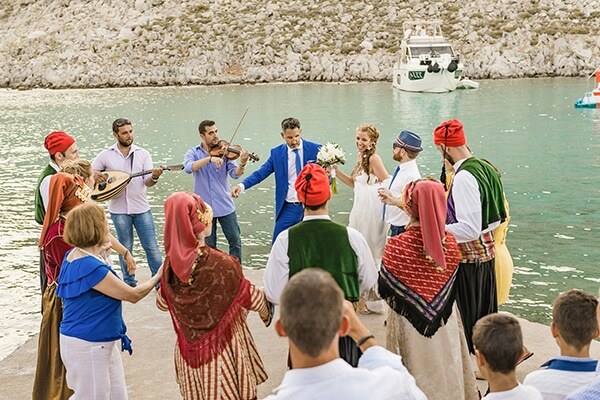 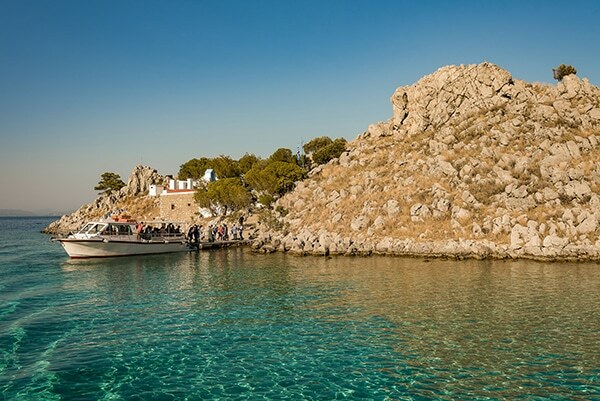 Alexandra and Alexandre exchanged eternal vows of love and faith in the alluring island called Symi.. 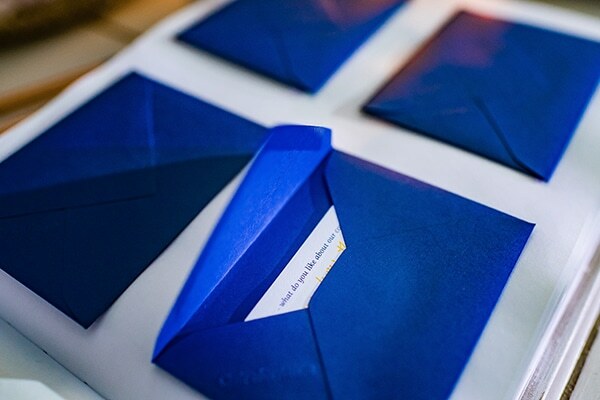 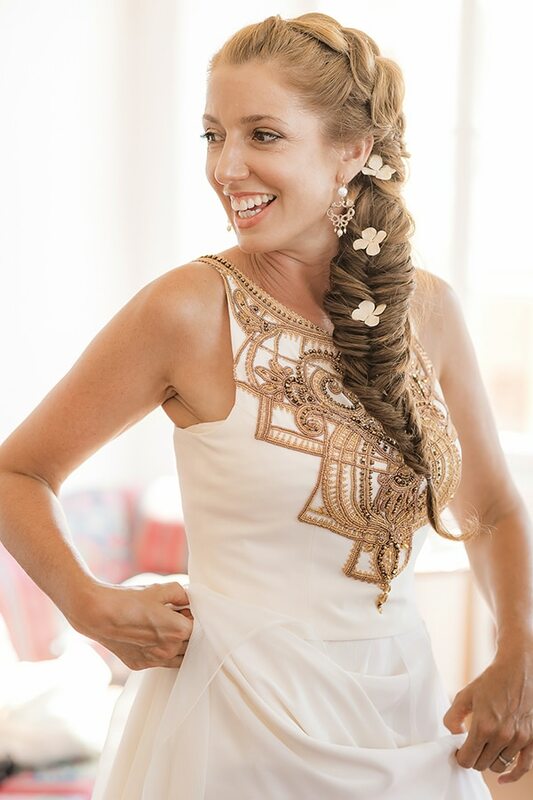 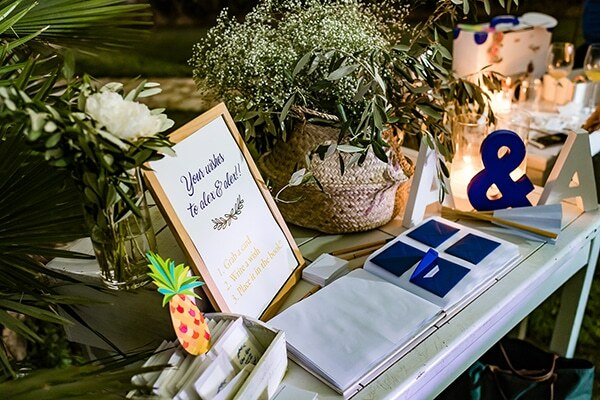 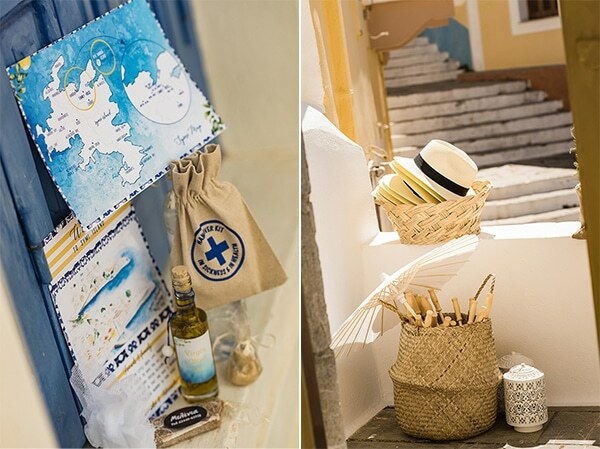 The concept-style of the wedding was Greek thus the dominant colors were blue and white with a touch of lemon yellow. 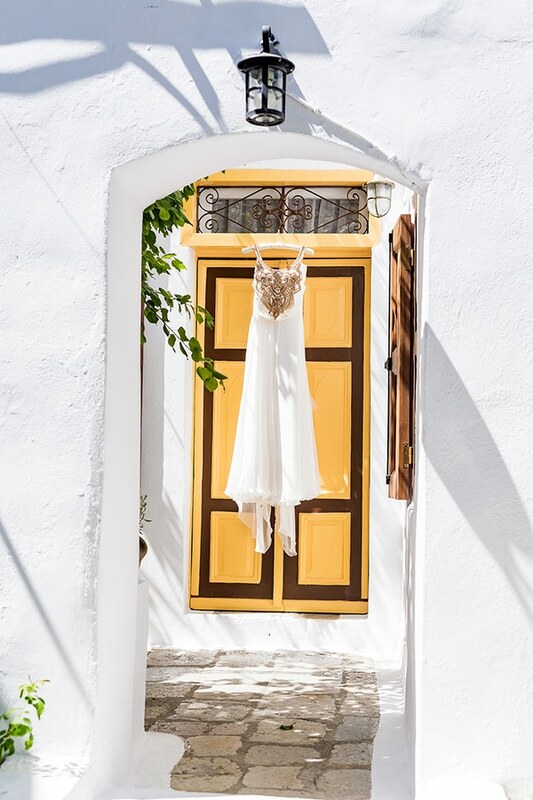 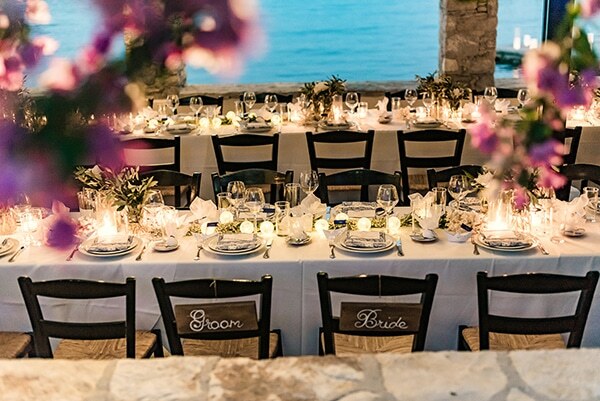 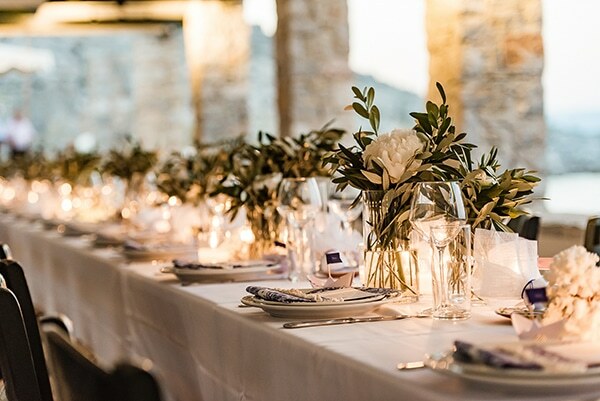 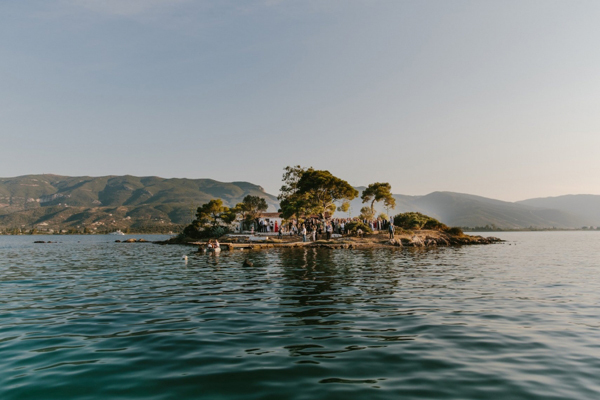 The couple chose simplicity and authenticity to reflect French elegance combined white the Greek tradition of islands. 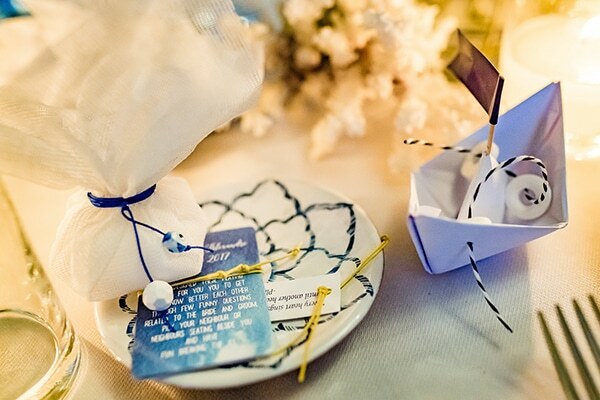 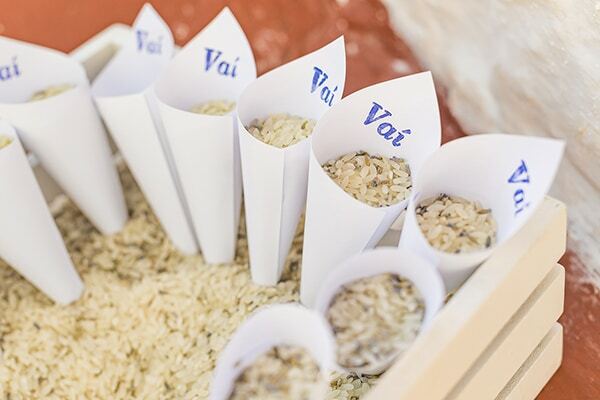 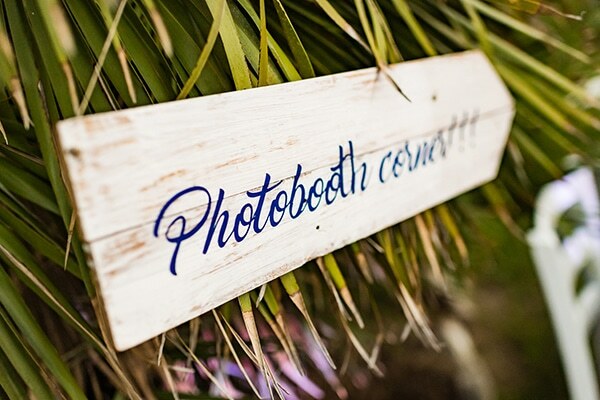 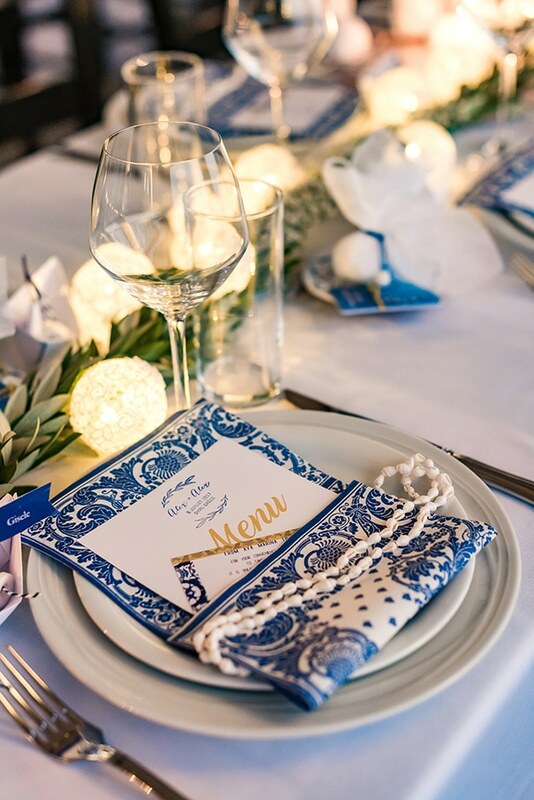 The wedding reception was astonishing…seashells, little candles which fitted with the person style of newlyweds! 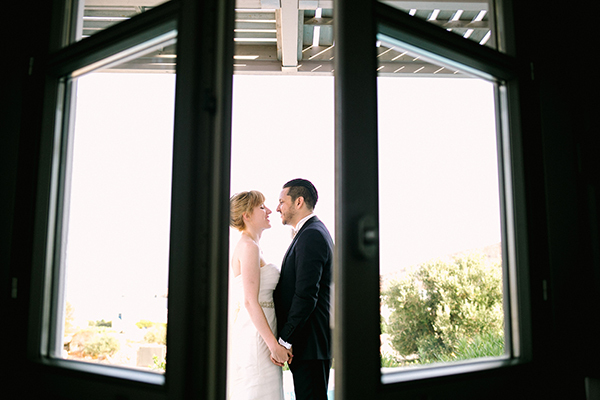 Have a look at the beautiful photos! 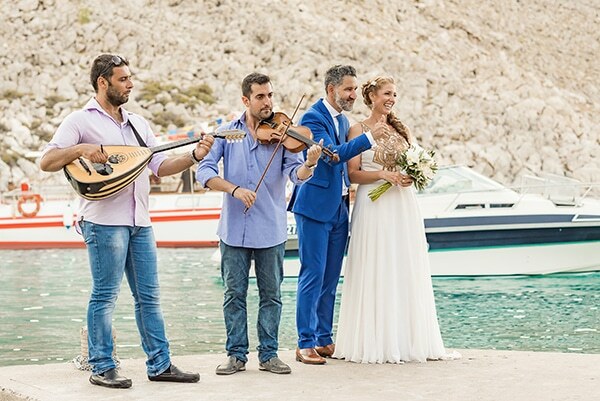 “We met in France and the proposal took place in 2 places (since we are both half Greek and I didn’t say yes straight away) once on the Art bridge in Paris and the second time in front of the acropolis in Athens when I said yes. 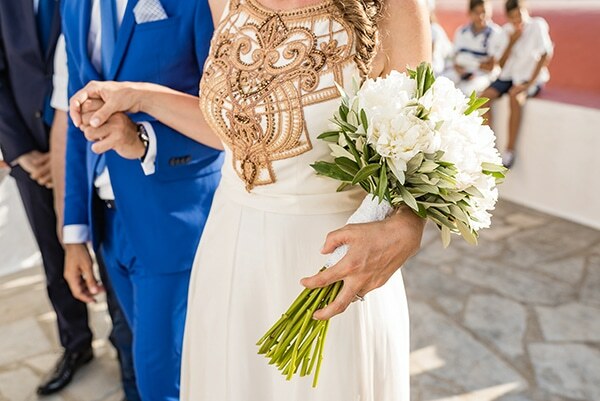 The proposal was done on the day of new year’s eve after the firework on the Acropolis that we could see from our hotel in Athens”, the bride shared with us.